Mattress Advertisements – A MUST READ! Home → Uncategorized → Mattress Advertisements – A MUST READ! You do not have to be a victim when you shop for a mattress. Read. Learn.! Here, we are committed to providing you the truth about the mattress industry and the products made available by our industry. Mattress advertisements are bound by law to be truthful in their statements….and indeed, they are. What they are not is, fully truthful. That is to say, via our society’s conventional wisdom, many of today’s ads, including most of the ones you hear from my industry, accentuate the positive and eliminate the negative. “Accentuate the Positive and Eliminate the Negative”…Isn’t that something we’ve taught to our children for as long as I’ve been alive at the age of 61?…maybe longer. This blog is committed to telling you both…the positive and the negative. For too long, there has been a cheapening in the cost of making a mattress. Manufacturers cite the increases in the price of steel and in the cost of moving materials, thanks to the price of oil. In and of itself, that’s ok. It is what it is. The problem lies in the truths that are avoided in selling a product of continually diminishing quality. Over the last couple of years, the manufacturers have seen fit to lengthen the warranties on many of the more profitable items. In lieu of making them better, they’ve opted to promote to you the illusion of quality. So you see, the problem you face in terms of getting accurate information, is a problem created by the top down. Some of you believe that if you call the factory that made your mattress, you’ll be given accurate information. Give them a call. Ask them what you will. You will find that you will be left in the same state of confusion you had before calling. There are retailers who spend a tremendous amount of money on advertising. I think that many of you never stop to consider how much advertising costs. It is quite expensive. If you took a moment to contemplate the millions of dollars spent on continual mass media marketing…TV, Radio, Print Ads…you would have to wonder where all that money is coming from. It only takes a moments thought to realize that it is you who is footing that bill. Through this constant bombardment of advertising, it has been learned that you will visit that store first. A good salesperson can sell you the first time in. He and his boss know that if you do not buy the first time in, you are not likely to return once you see that they have the highest price…with the exception of their lost leader come-ons…which the salesperson will do his level best to keep you from buying. You have a reasonable expectation that the salespeople are well informed and wouldn’t mis-lead you. After all, what kind of way is that to do business. Surely they know, that sort of behavior will cause you to never buy there again. Not only that, but you’ll warn everyone you know. Large mega chain stores….the ones doing all the advertising that tells you they have the lowest price…don’t care about you or your return business or what you might say about them. That Mass Media Marketing is what drives the business…herding people through the door. Believe me, their Mass Media brain-washing means much much more than you do. There is one of these chains back east, that is spreading like an infestation to other parts of the country that actually has a rap sheet with their original state’s Attorney General’s office…as well as, an “F” rating with the Better Business Bureau. Their ex-customers are very boisterous when it comes to their displeasure….not the sort of people you handle badly and get away with. There are websites committed to exposing the terrible underside of this chain. I’ve traveled all over the country and there are none anywhere near this bad. There are many large chains, nationwide, that use continual mass media advertising to drive customer’s. And while they all end up being the most expensive, I hear no complaints about being abused, as does that previous chain of stores. Here, out west, we have a more comical approach. One, in particular, I find amusing. I also find him dangerous. He has an ad that tells you to replace any mattress that is 8 years old. And while he doesn’t say it, the inference is that it needs to be replace if it is 8 years old or older. An 8 year old mattress may, very well, need replacing. The cheapening of mattresses made today, began about 11 years ago. If you have a mattress that is 10 years old or older, check with me about it before you automatically replace it…and most certainly if you’re only consideration for replacing it, is that it’s time. Often, it can be made better than ever for only a couple/few hundred dollars with another 10 years to be had from it. I went to visit this store. Their ads proclaim that they will beat anyone’s advertised price or your mattress is free. Really. If you are one who may believe that you stand a chance of getting a free mattress, I’m not sure I can help you. Anyway, I was waited on by an older gentleman…very nice…the kind of man that is easy to like and trust. He told me all about his mattress. He spouted of facts about them as if he truly knew he stuff. If you didn’t know the truth, you would never know that he was incorrect about a great many of those facts. He sounded sincere…and probably was, which what makes him such a powerful tool in closing a sale the first time in. He is fed information that he believes to be true. When he relates his facts to you, he does so with the utmost sincerity. The misleading information that you’re being fed, for the sole purpose of “Making the Sale”…any sale, start with the manufacturers and then down through the retailers, until it is white washed and fed to the salespeople. Then again, not all salespeople are simply naive. Some are smooth talking S.O.B.s. Both will trade you your hard earned money for a mattress that becomes less comfortable within months and needs replacing in a couple of years. Again, Welcome to my mattress blog. You will find categories with thousands of questions and answers. Most of the more common questions have been answered umpteen times. If, after doing some reading here, you might check out my other blogs….and/or, ask your own question. My name is Peter. I’ve been in this business for 30 + years. It’s never been as bad as it is today. Not too long ago, it was a truly legitimate industry. But, like the banking industry and the oil industry and the drug industry and the food industry which spawn the diet industry, The mattress industry is absorbed by greed. You do not have to be a victim. Read. Learn. 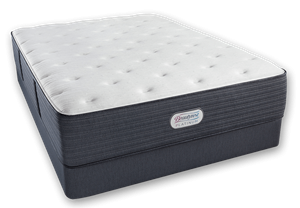 100% All- Natural Talalay Latex Mattress Toppers…UPS Free Delivery Anywhere In the US & Puerto Rico. Please Check out One of our Blogs Listed below Or Ask us on Facebook or Twitter. You can Also Call or Email Us! A Mattress or Futon for a College Student? Making the best use of our mattress blog. Big Man, Sciatica Pain. Simmons Beautyrest Black Desiree and a Latex Topper.